Gov. 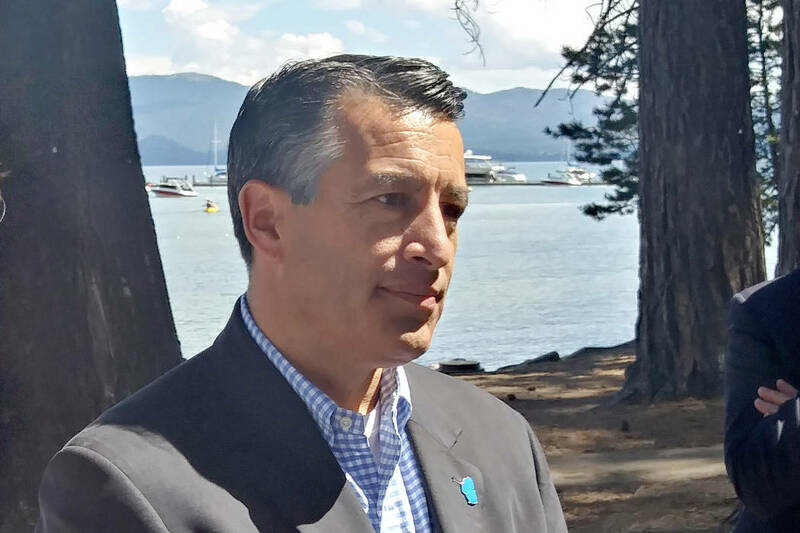 Brian Sandoval is seeking legal guidance into whether the state can implement the stalled background check law for private gun sales and transfers that voters approved in 2016. CARSON CITY — Gov. Brian Sandoval is seeking legal guidance into whether the state can implement the stalled background-check law for private gun sales and transfers that voters approved in 2016. Sandoval spokeswoman Mari St. Martin said Tuesday the governor’s office is asking Attorney General Adam Laxalt’s office if Nevada can operate as a “dual point of contact state.” That means two systems of background checks for firearm purchases: one for licensed dealers and another for private sales and transfers. No evidence has emerged that background checks for private sales would have stopped Stephen Paddock, who didn’t have a criminal record and purchased firearms in retail gun stores after passing background checks. Federal law doesn’t require background checks for private gun sales. Voters narrowly passed the Nevada Background Check Initiative, also called Ballot Question 1, in November 2016. The measure required background checks on private-party gun transfers. However, an opinion from Laxalt kept the law from taking effect on Jan. 1. The opinion deemed the new law as unenforceable, because the FBI was unwilling to conduct the background checks, and the state didn’t have the authority to carry them out. But Mark Ferrario, the attorney for Nevadans for Background Checks, disputes Laxalt’s opinion in a Sept. 25 letter to Sandoval. The letter urges Sandoval to start implementing the new law by Oct. 9 and raises the prospect of a lawsuit if inaction continues. The sticking point: the voter-passed initiative says dealers conducting background checks for private transfers must contact the FBI’s National Instant Criminal Background Check System to determine if the buyer is eligible to purchase or possess firearms. That’s different from the existing system for retail sales. The FBI has said Nevada is already a full “point of contact” state that uses the federal NICS system and a state central repository that also has mental health records, domestic violence incidents, misdemeanor criminal records, arrest reports and restraining orders. In his letter, Ferrario writes the issue “can and should be easily resolved” with a dual system that would use the federal NICS system for private sales. The governor’s spokeswoman said Nevada background checks for retail gun sales are “more comprehensive and thorough” than FBI checks. Monica Moazez, a spokeswoman for Laxalt, said the office is reserving comment until it receives and reviews the governor’s request.